Palms Trading Company proudly features pottery from Zia Pueblo. Zia Pueblo pottery is similar to that of neighboring Pueblos but carries distinct features that make it stand out from the rest. 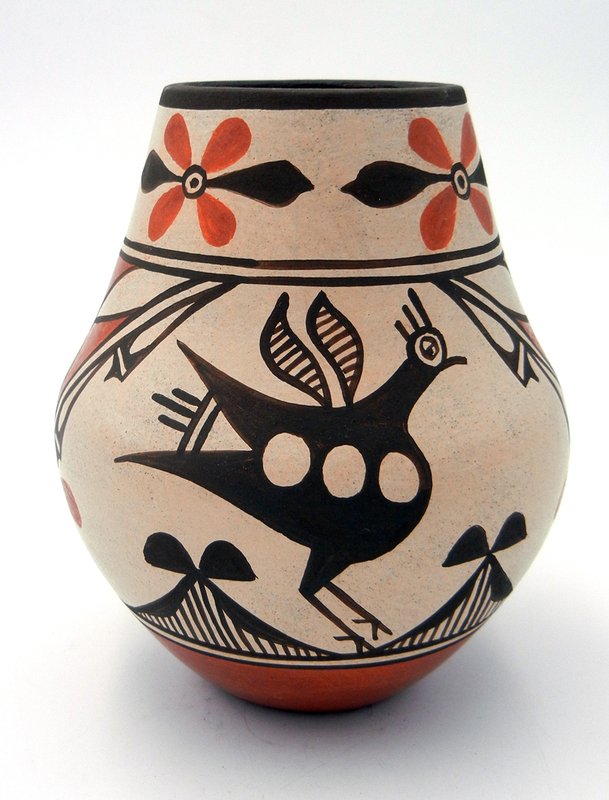 The pottery made by Zia Pueblo artists such as Ralph Aragon and Elizabeth and Marcellus Medina features clay collected from the Pueblo and designs such as the “sky band,” geometric patterns and floral designs. 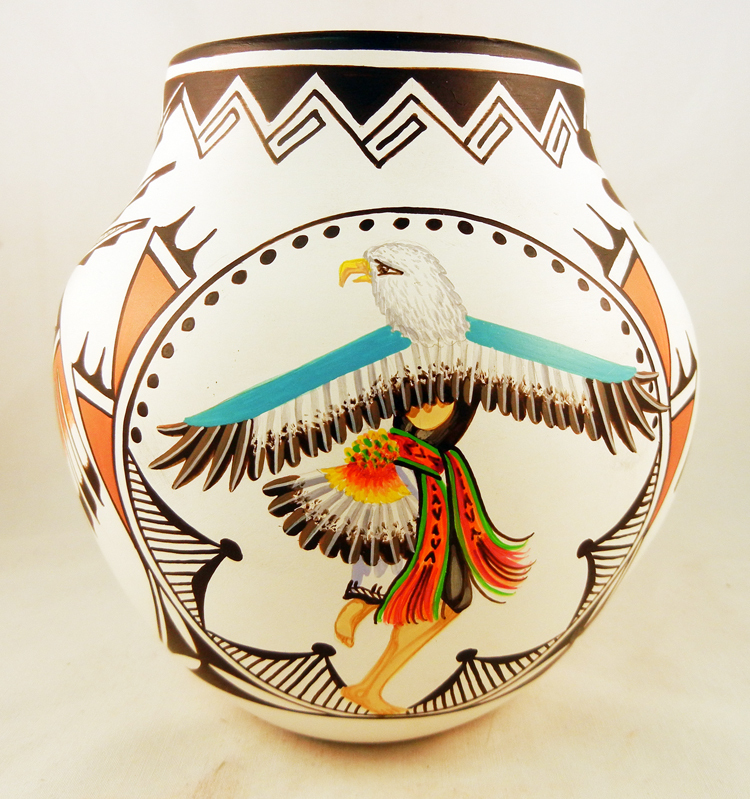 Every piece of Zia Pueblo’s pottery in our inventory is bought directly from the artist, giving you the best price possible. Our items help you add an important part of the Native American Indian pottery tradition to your collection.